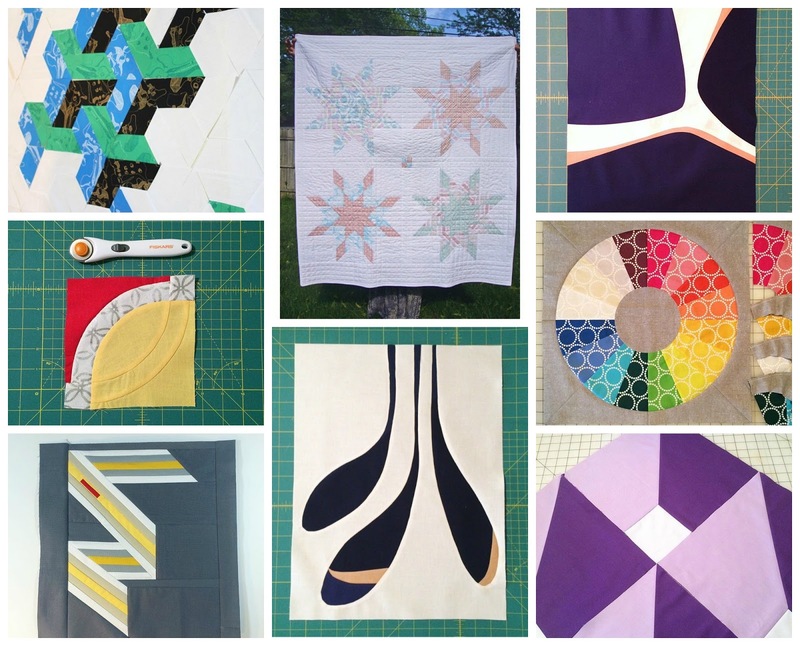 Week 8 - Who is @manwhoquilts? So, who is this man who quilts? I ask myself that all the time. Who am I? What am I doing? Where am I going to be a year from now? Why can't I remember what I ate for breakfast? What did I come in this room for? Hey, I'm Austin. 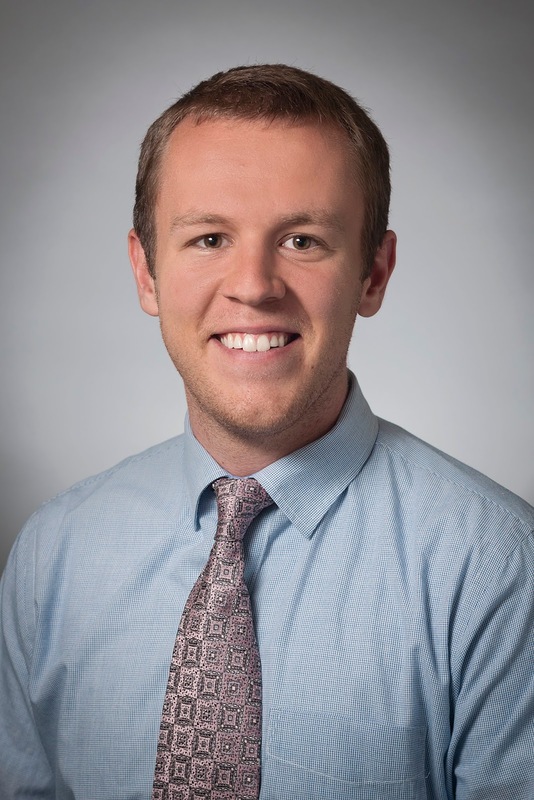 I'm a twenty-something college graduate working in one of the largest commercial real estate firms in the state. I love working out and pumping adrenaline at the gym. I'd consider myself an artistic prodigy and have a talent for working with textiles. When I'm not creating art you can find me in the kitchen being a culinary genius or discovering some artist that you've probably never heard of. Hi, my name is Austin. I'm single as hell, not very adventurous, and I'm not sure what I'm doing with my life. I like to quilt, which not a lot of men do. When I'm nervous I get gassy, and sometimes when I'm talking to you I either have no clue what you're talking about or I'm not really listening, but I'll pretend to anyway. One time when I was little I fell asleep while I was going to the bathroom and I pooped on the floor rather than in the toilet. Not sure how it happened, but my dad was the lucky one who got to clean that one up. *Record scratch* No...that's not working either. Hi, I'm Austin. I'm 24 years old and I live in Salt Lake City, Utah, USA. I've lived in Salt Lake my entire life and I don't have any plans to leave. 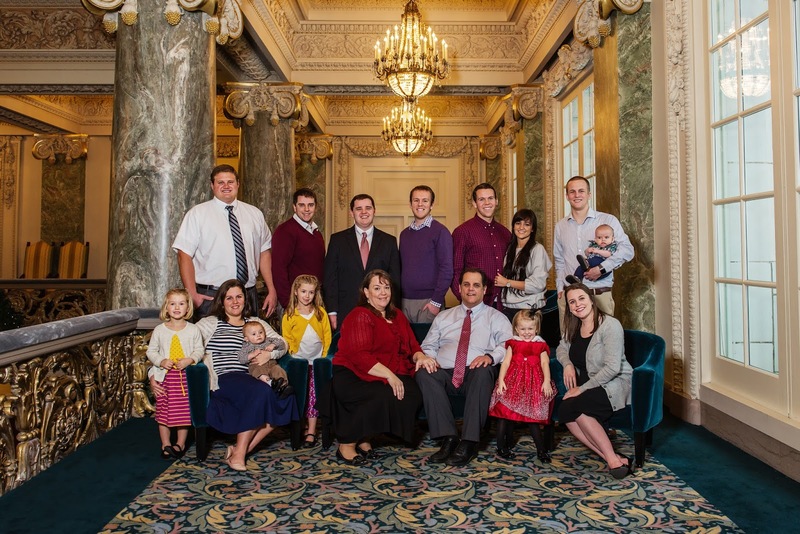 I graduated from BYU (Brigham Young University) with a degree in Urban Planning. I do work for one of the largest commercial real estate firms in Utah, but I'm just an assistant. It's not my career or forever job, but it's good for now while I figure out what I want to do. At some point I'll go to grad school and get a master's degree in architecture, real estate development, or maybe civil engineering. 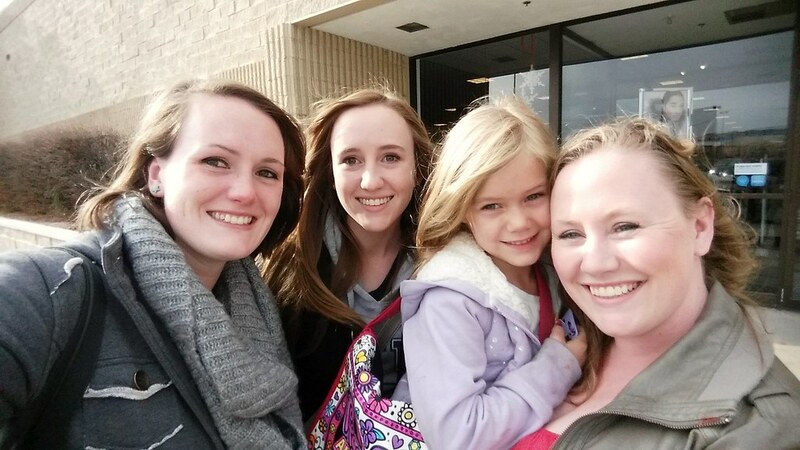 I have five siblings, two parents, three siblings in-law, three nieces, and two nephews (soon to be three!). I love all of them and love hanging out with everyone. Yes, even my parents. My dad and I are gardening buddies and sometimes I can get my mom to take me out to lunch. Sorry not sorry, but my nieces and nephews are cuter than yours. That's just how it is. Aside from quilting, I also love: corn dogs, whistling, architecture, pasta salad, plants, kettle chips, gardening, interior design, the idea of wood working, the idea of hiking and camping, playing the piano, writing backwards and upside down and upside down backwards when I'm bored, Liz Lemon, fart jokes, Amy Poehler, Betty Who, figuring out how to move different parts of my face, Adam Lambert, Beyonce, curry, Chinese food, Oreos, cars, YouTube, tech videos on YouTube, pop music, folk music, Frank Sinatra, naps, etc.. Here's the beginning of my quilting journey: one day I wanted to buy a sewing machine (during an awkward phase where I thought I was being rebellious because HELLZ YES, MEN CAN SEW!). I found my trusty little Brother CS6000i on Amazon, and saw that it had great reviews and was on sale, so I went for it. I decided I wanted to make my little nephew a quilt before he was born. Something about a hand-made gift made by a man seemed neat and special for me. I wasn't quite sure what I was doing, but I had an idea in mind and I kind of just went with it. 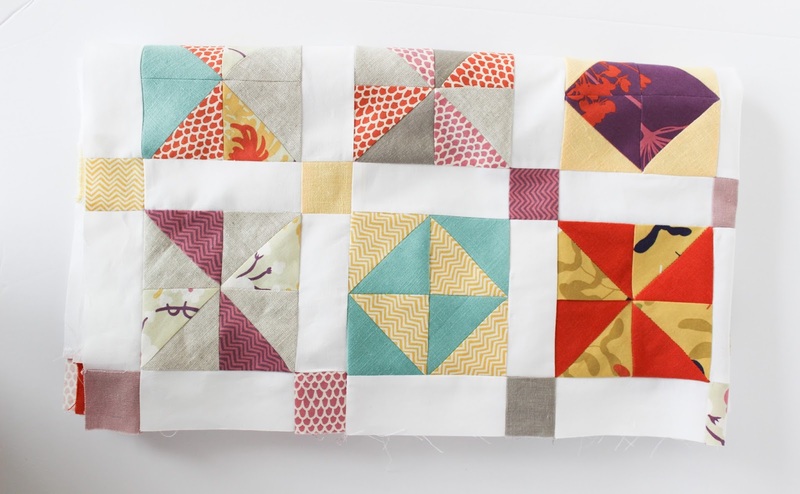 The points weren't lined up, the quilting could have been better, and we won't even talk about the binding, but it was a fun learning experience and so satisfying to be able to hold something that I made with my own hands. I've loved learning and practicing and experimenting with quilting ever since and I hope it's something I do forever. This week I had the great opportunity to attend and enjoy QuiltCon. 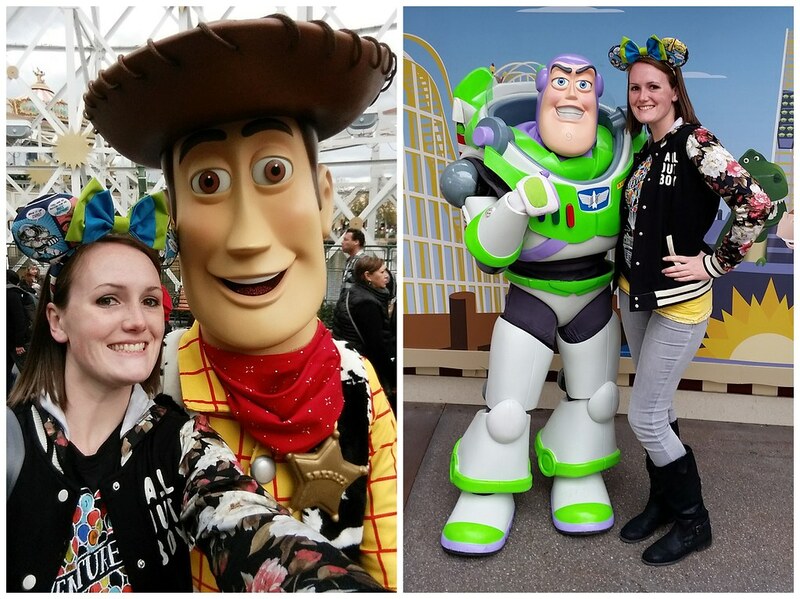 It was an amazing experience and being able to share some of it on Instagram made this week even more special, so I wanted to share some of my take on the whole conference (including the show, volunteering, gathering, social encounters, etc). This was my first time attending and having a quilt on a show. One of my favorite things during QuiltCon was to personally meet some amazing people, sewlebrities and IG friends. Another favorite was seeing my work at the show and at the magazine. That was really fun! My class and lectures were great too, I cannot wait to keep working on my rainbow remix quilt that I started at Rebecca Bryan's class. I do wish I had taken more classes, or kept some I had canceled early on, but I actually like that I left myself some time to just walk around and socialize. I went alone, but was lucky enough to always have some friends to hang out, eat with, or walk the show with. This is it for my 52 Quilters' week. It was a pleasure to share a little of my life with all of you and it was a lot of fun! Thank you so much everyone for following along. I loved the interaction and hope to continue that on my Instagram feed @astrangerview or on my blog http://astrangerview.wix.com/astrangerview. 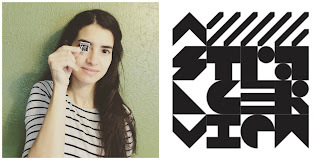 Week 7 - Silvia Sutters - Who is A Stranger View? My name is Silvia Sutters from A Stranger View and I will be taking over this little corner of the cyber world for the week, so let's do this. 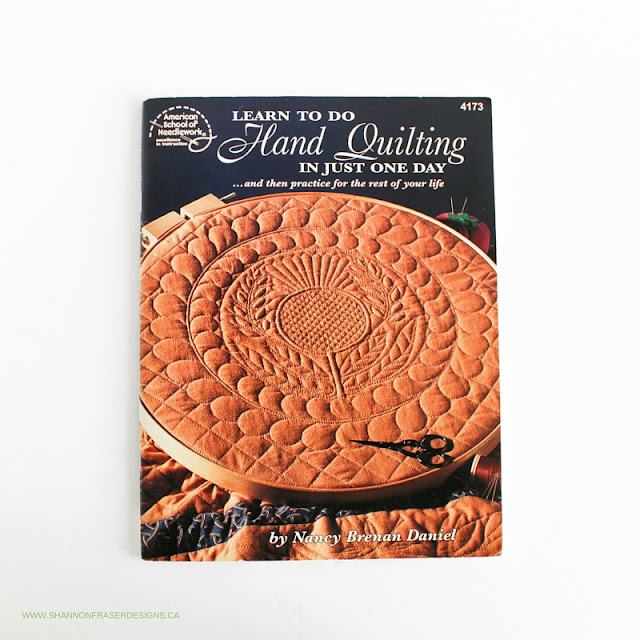 I'll give you the condensed version on my quilting and sewing journey, because I am originally from Brazil, and Brazilians like to talk. A lot. I grew up seeing my grandmother sew beautiful wedding garments whenever I visited her and I think that instilled in me a subconscious desire to become a fashion designer, but it took me a while to find myself. I went to school for something totally unrelated and then after some major life change, I decided to go back for another degree in Fashion Design. I met my lovely husband and followed him to the US where I continued my studies with a certificate in Patternmaking technology from FIT. I worked and interned in some fashion houses in NYC, but life kept moving us west and that's how I ended up in the midwest, currently Illinois. Our family grew from two to four and one day I decided that I needed to get back at sewing, but drafting patterns got to be very difficult with a one year old around and another one on the way. At the same time I went to spend thanksgiving at some friends' house, who happen to be quilt collectors. 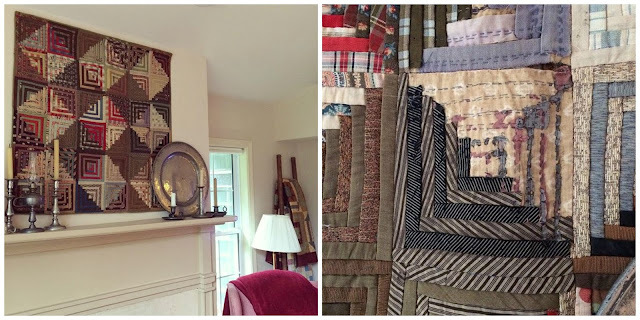 I loved hearing the stories of the Civil war and log cabins map guides, so I went home, searched for some online classes and started quilting. I loved the fact that I could do some work here and there around other activities. I found my STLMQG guild, and that's how my new obsession got started about two years ago. So, this is me, in a nutshell. What I do is a hard question to answer because I keep evolving and every time I look back on my work, I already feel that I am a mile away from that stage, but mostly I am constantly inspired by art, architecture, and graphic design to name a few. 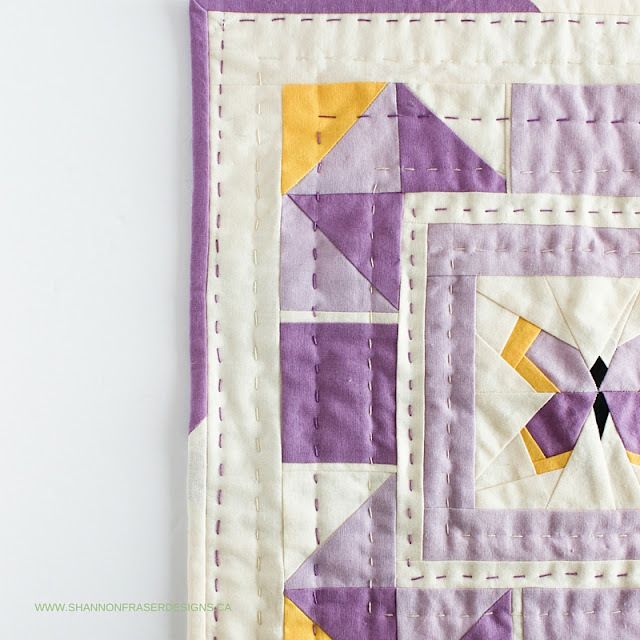 I love a challenge, so Y-seams, curves, complicated piecing, it's all up my alley. I also love the quilting community. I am constantly challenged by others' creativity and inspired by all the amazing artists I encounter on Instagram. Back to the beginning of my statement, I believe that I found what I was looking for once I started quilting. Quilting was the perfect creative outlet that channeled all my previous experiences into one art form that has countless opportunities to extend my learning. Well, I warned you about those Brazilians (although I am actually American now, but the blood still runs in my veins), they like to talk. I'll be leaving for QuiltCon soon, so make sure to pop up on 52 Quilters and mine IG (@astrangerview) to get a taste of the Conference and show, and if you are there too, feel free to stop me to say hi. Week #6 - Thank You from Shannon Fraser Designs!! Thank you for having me this week!! It has been a real pleasure getting to know you and learning about what inspires you to quilt. I hope you've enjoyed connecting with me and seeing what inspires me. 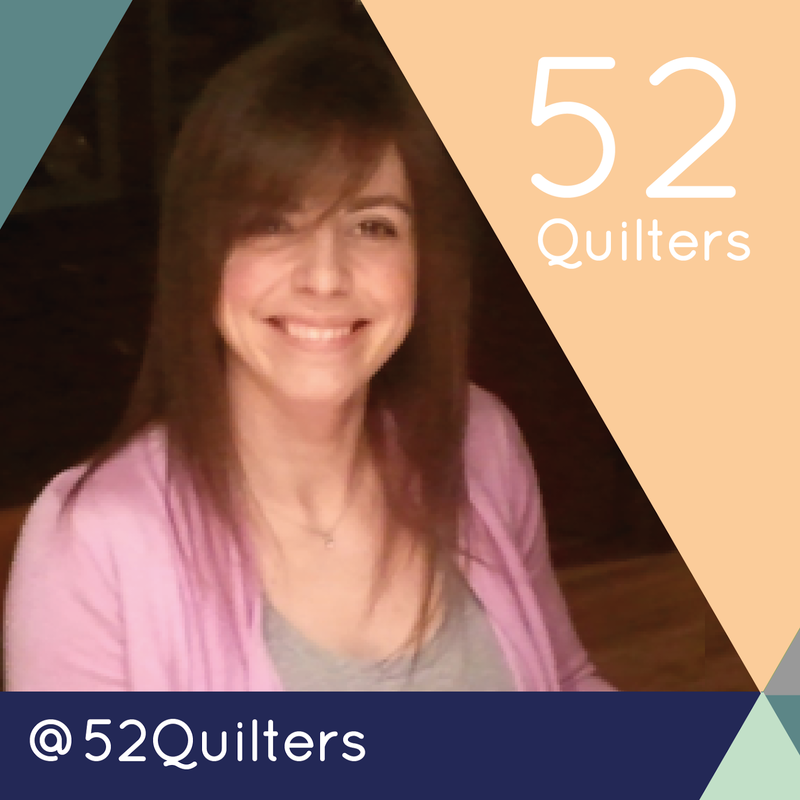 A special thank you to Chris for creating such a great online quilting community here at 52 Quilters. I look forward to 46 more weeks of meeting uniquely talented quilters – our community rocks! Even though my takeover is coming to an end, I would still love to stay connected with you! You can find me over on Instagram @sf.designs and online at www.shannonfraserdesigns.ca. 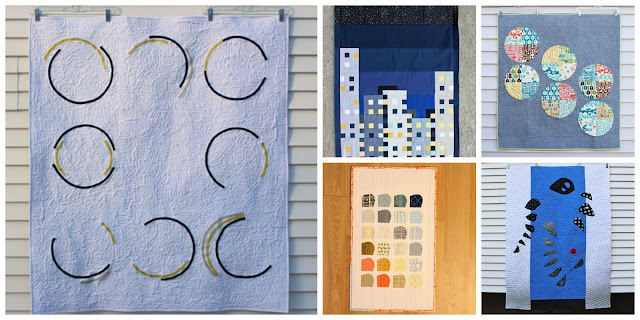 Post by Shannon Week #6: Shannon is a fabric loving home accessories designer who recently discovered a love for modern quilting and hasn't turned back! 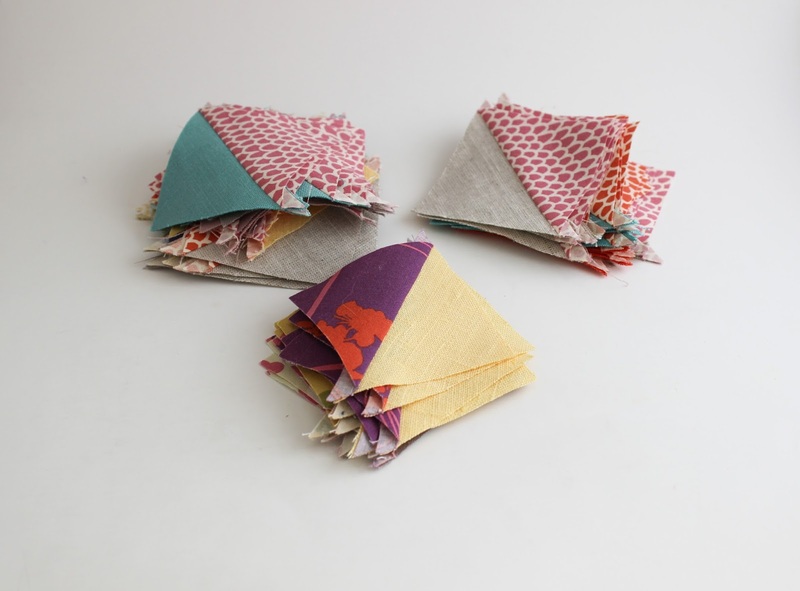 Living in Montreal, Canada she spends her days designing and pushing her creative boundaries to explore all things textile related. You can find her at www.shannonfraserdesigns.ca and on Instagram and Pinterest. In honour of Thankful Thursday, I wanted to take a moment to express how thankful I am to be a part of such an amazing community. We think about our community and give back! I love that we think beyond ourselves. Quilting to me is very much communal and thoughtful. Most of my quilts are made for others and I love that I get to share something I am so passionate about and that others get to use and enjoy. We support one another - ideas, challenges, tips - you name it, we've got one another's backs! It has been less than a year since I joined the Montreal Modern Quilt Guild, but I already feel so much a part of the group. Everyone has been so welcoming and encouraging. Take this week's meeting where I presented a mini-quilt I made for family member's new baby. There were lots of firsts in this project, including first time paper piecing and big stitch hand quilting. No one paid attention to the subtle flaws, and rather focused on the colourway, the thread chosen and the overall design. 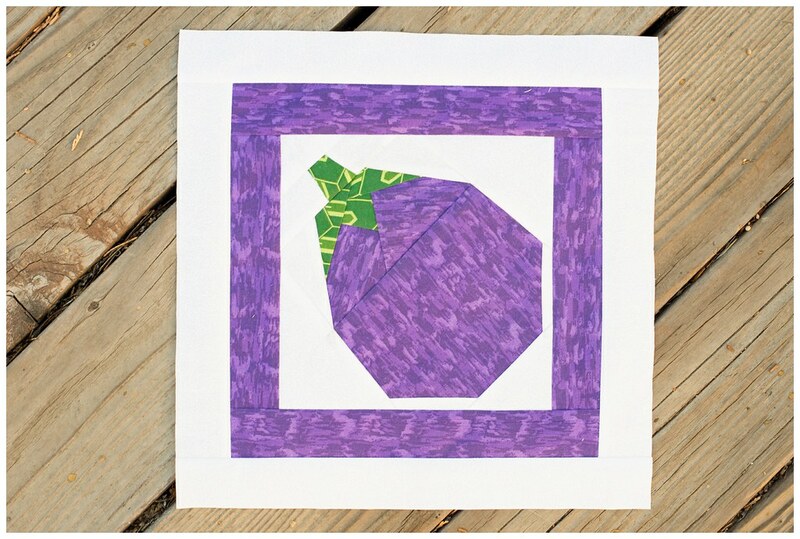 My example has given others who haven't tried paper piecing the incentive to give it a go! A guild member brought me a book on hand quilting since it is something I am new at and looking to learn more about. How thoughtful of her to think about me given our busy schedules. Just another example of how sharing is caring. 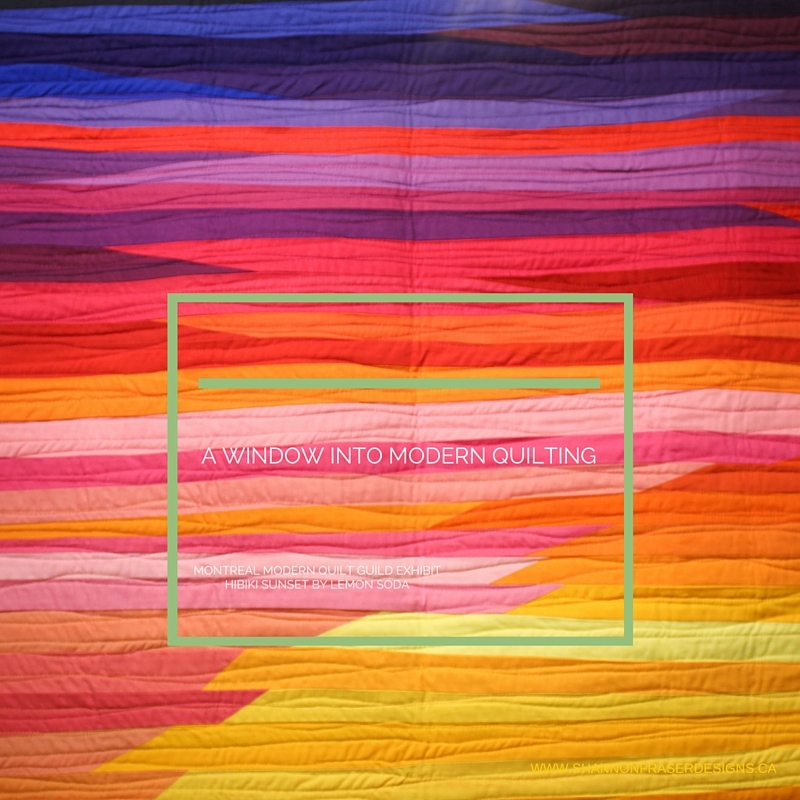 My guild currently has an exhibit called A Window Into Modern Quilting that is showing until the end of February. I was thrilled to be able to attend the opening and support my talented members. Some might feel intimated, daunted or less than when seeing such amazing work; I rather take inspiration that with continued practice and experimentation anything is possible! If you would like to read more about the exhibit and see the quilts in the showcase, click here! 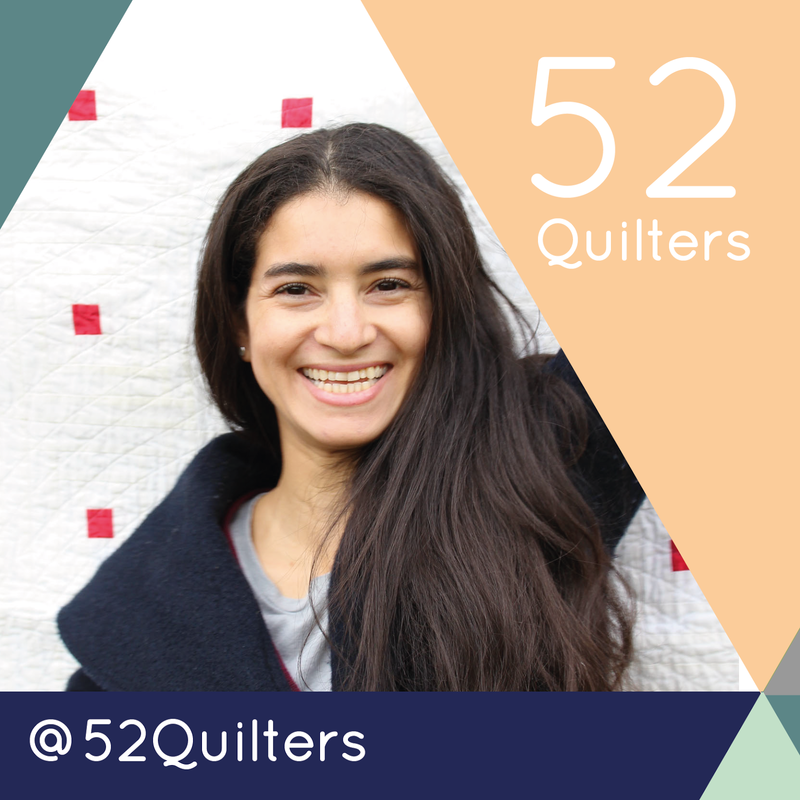 In just the few days that I have taken over 52 Quilters social media account, I have already made numerous new quilting friends that I hope to continue to connect with for years to come! I am meeting many for the first time and the warm welcome I have received solidifies for me what an amazing community we have. 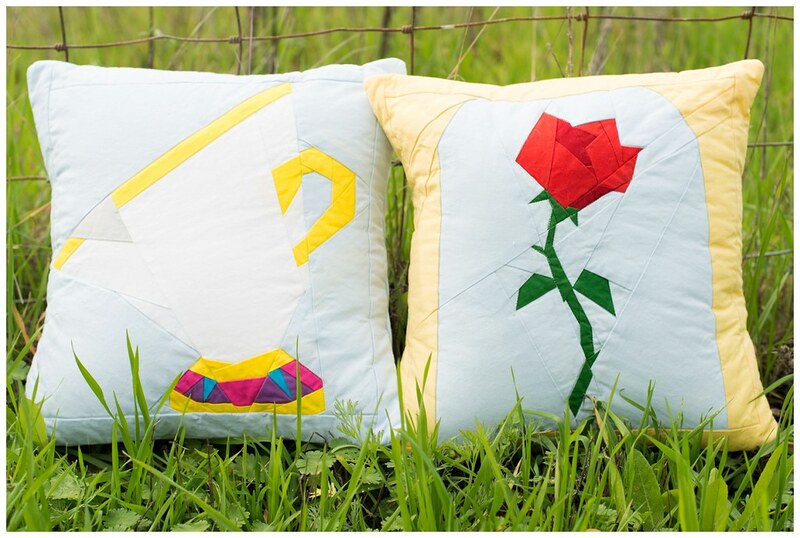 Here's to the love of all things quilty!! I'm Shannon popping in from Shannon Fraser Designs for this week's take-over! I'm a fabric loving sewer who recently discovered a love for modern quilting and I haven't turned back! If it’s related to anything textile, quilty or baking (due to my insatiable sweet tooth) – you can count me in! While I have loved fabric for quite some time and taught myself to sew several years ago so that I could enjoy those fabrics, it wasn't until about a year ago that it all finally clicked. What I loved most about the entire design process was pairing different fabrics for a new interpretation. 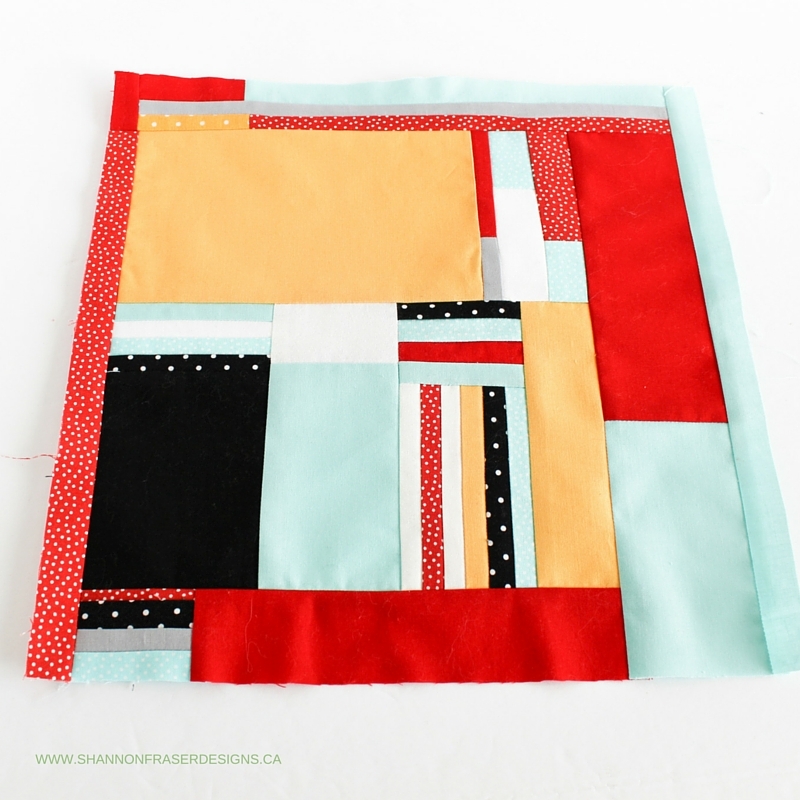 When I started watching quilting videos on YouTube, there was an overwhelming sense of “I need to give this a go”. 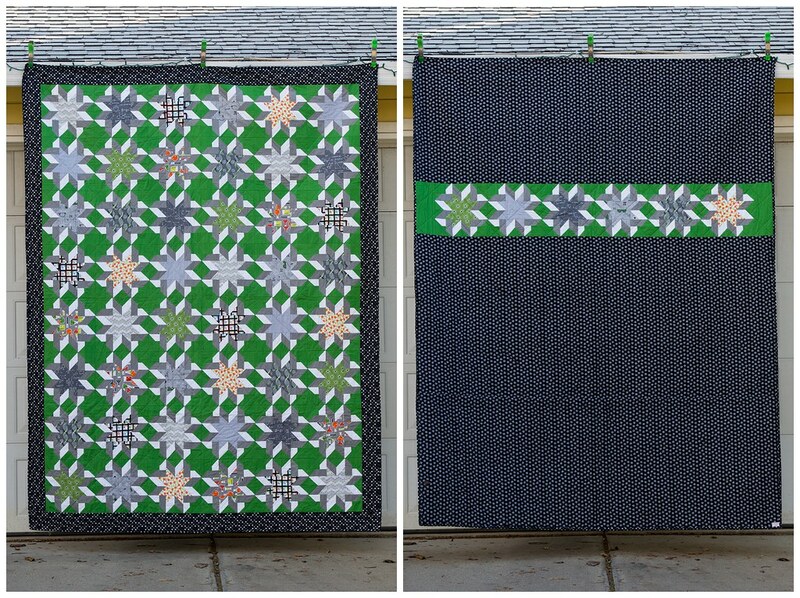 Taking inspiration from the half-square triangle, what started off as creating a trial block, turned into creating my very first quilt. I was hooked! 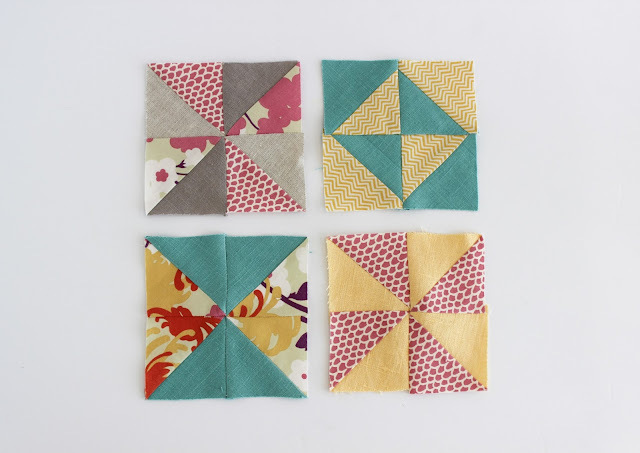 Not only does quilting challenge your sewing skills, but the design options are endless and the pairing of fabrics, that I love so much, is an integral part of the design process. It is a thrilling journey to be on; within a community that has been beyond welcoming, informative and encouraging. If you want to chat or have nay questions you can also send me an email to sfdesigns@outlook.com. i shared this one on instagram already, but wanted to include it over here as well! 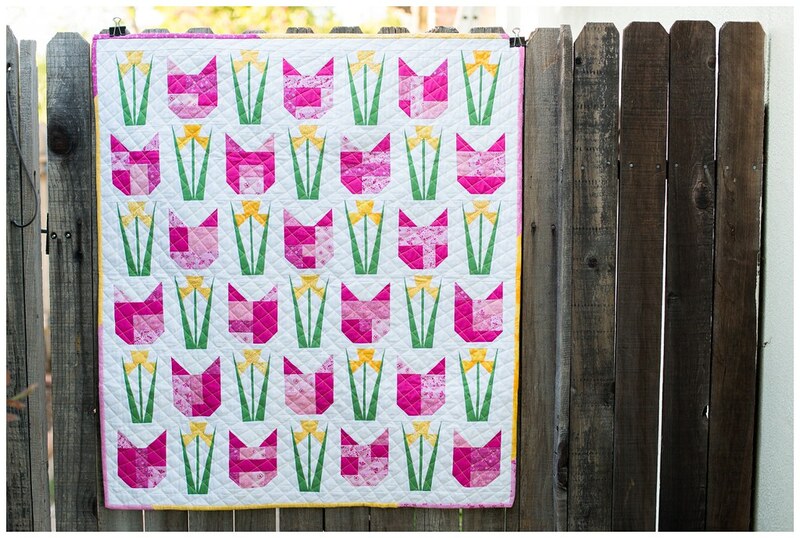 i followed along with elizabeth hartman's catvent quilt along on ohfransson.com and loved it! i used batik fabrics my grandma gave me to create each of the cats and putting them on the solid gray really helped them pop. the purple cats are my favorite for sure! i made one all for myself! 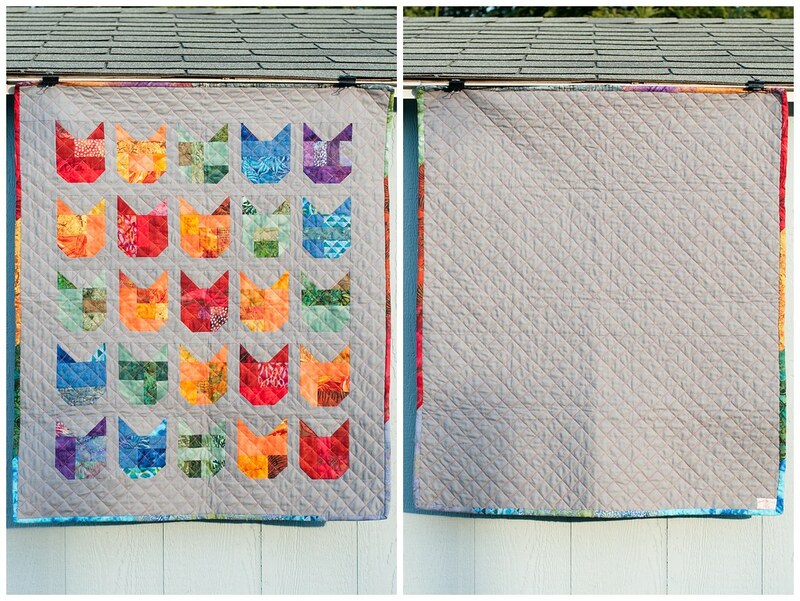 this 100 cat quilt was the project for 2014's catvent, and i collected the white on white and black on black fabric for quite some time before beginning this adventure. some of the fabrics even glow in the dark. this quilt resides on my bed with my camera quilt as well. he's totally thrilled. can't you tell? THIS has been my master creation thus far. well, at least in the world of paper piecing goes. 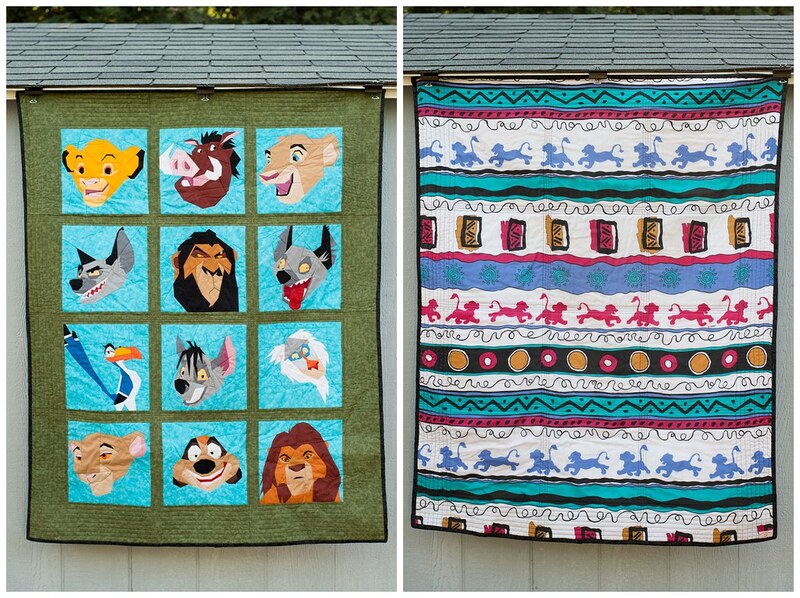 this quilt was made for my lion king loving friend (who also got the log cabin quilt above!) we threw her a surprise baby shower this past summer, and i finished this just days before the party. this quilt was not only a first experience with all this extreme paper piecing, but also using spray basting. since then, i have 100% loved using spray basting. my safety pins currently have been neglected. 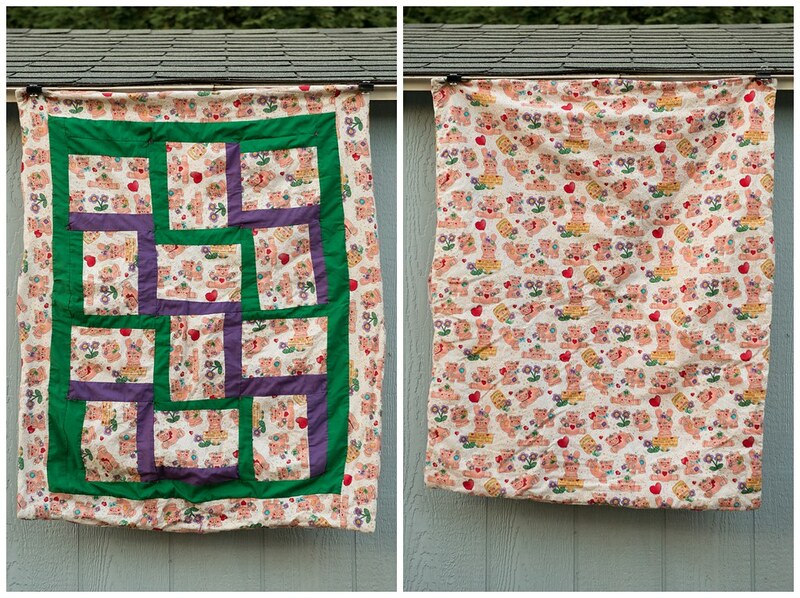 i'll end these quilts on a high note, with my most recent MEGA project. 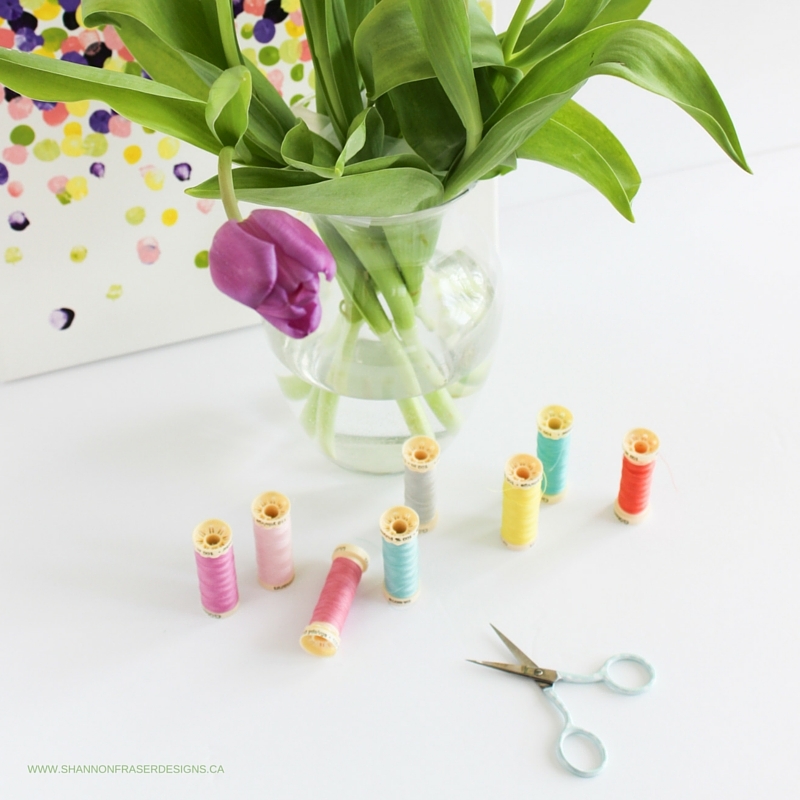 this part of the post is my shout out to my fellow crafty peeps. lisa (far right) & i used to have aspirations for a mall kiosk to sell our crafty things, and while we've tried an etsy store and craft fairs and haven't quite made it big. we discovered an awesome quilt store in colorado when i visited there a few years back and it set the bar pretty high as far as quilt stores go. 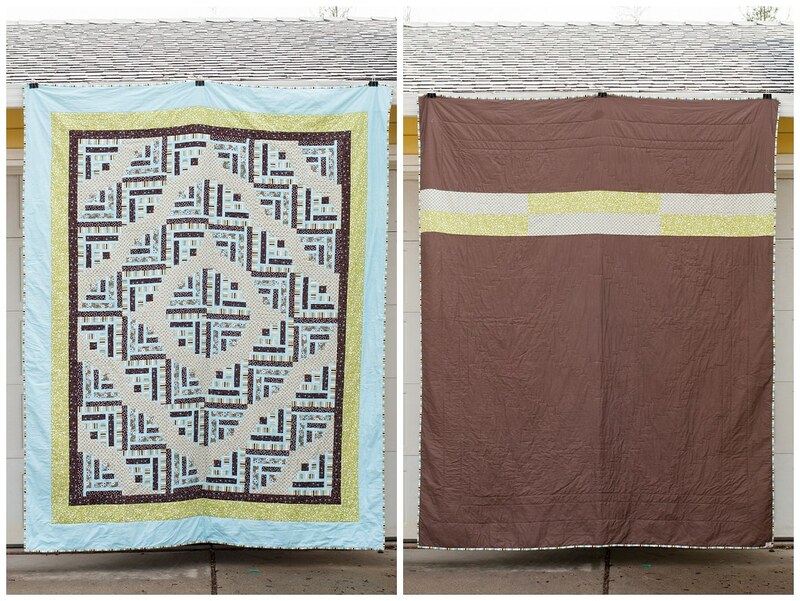 (if you're in denver, check out holly's quilt cabin!) we still have our crafty chats almost daily, and regularly send each other updates on projects. i know there have been numerous times where i've sent her fabric pulls while in joann's to get her thoughts on them before committing to the cut counter! lorelai is a budding quilter in her own right, and just celebrated her 8th birthday yesterday! she's a goofy gal who totally inherited the creative gene for sure. for the 100th day of school one year, she decided to make a quilt! she's been working hard on a bronco's quilt, and i can't wait to see the finished project. and then there's my sister aileen (second from left). we're still trying to figure out where her craftiness is at. she's allegedly glittering some mason jars for her wedding coming up in april, so we'll see if she has a secret talent we all don't know about! 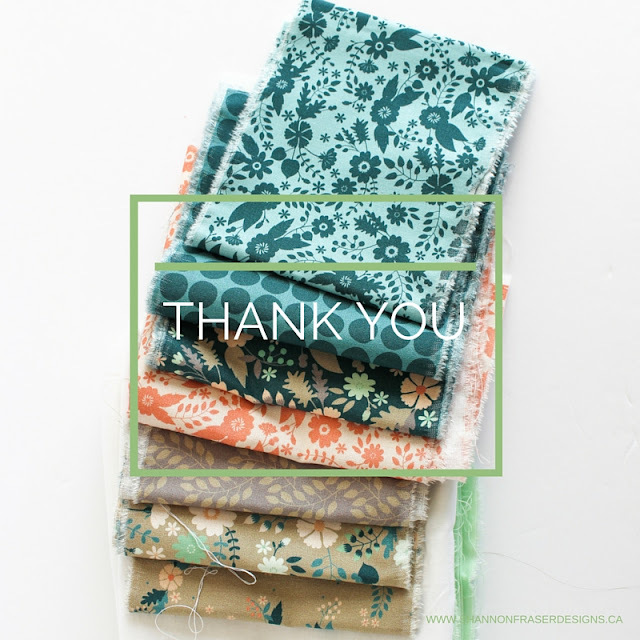 thank you all for hanging out with me last week and chatting with me on instagram about my various projects and even plotting together to create a fabric store work out routine. 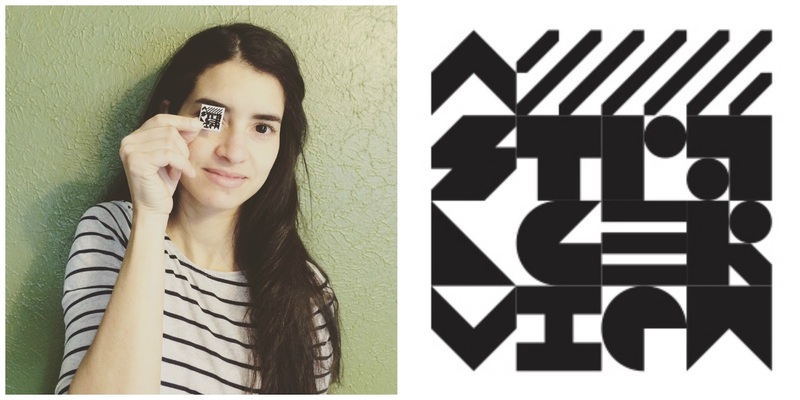 Post by Emily Week #5: Emily is a 20 something quiltographer from northern california. 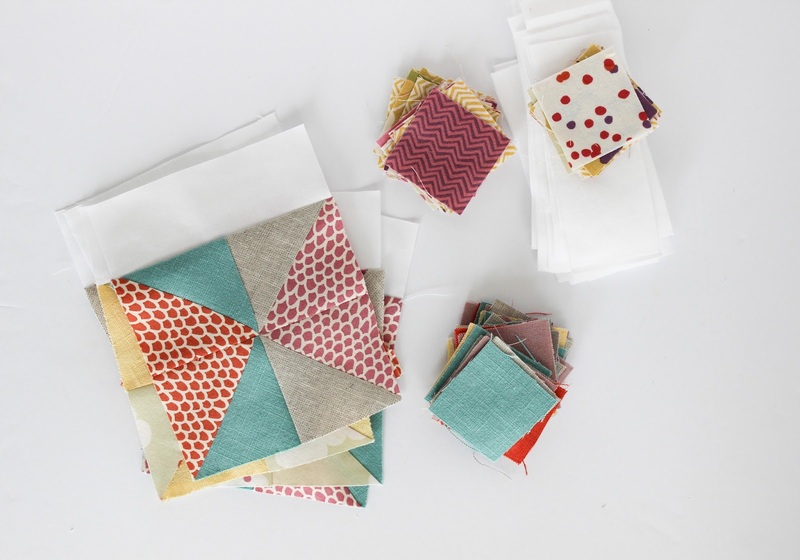 working both as a teacher and professional photographer, she has come to love quilting as a detox from the daily chaos. other than being crafty, emily enjoys mexican food, cats, pretty much all things disney, lazy sundays, and more cats. come hang out with her on instagram. first things first, my name is emily! 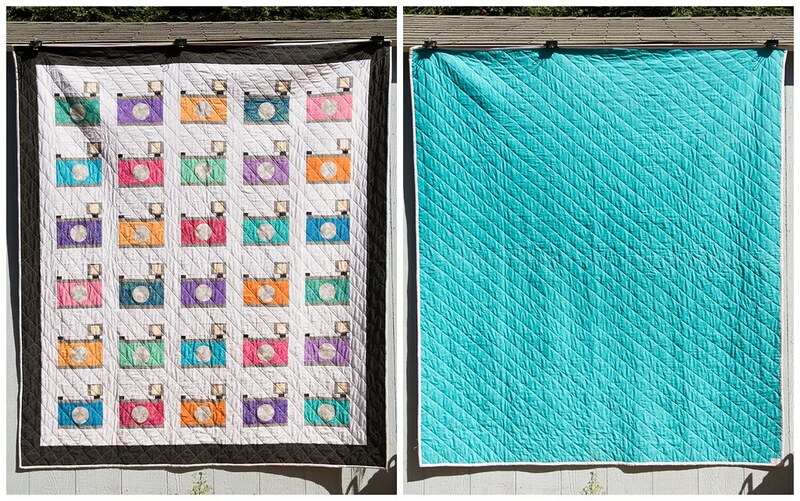 when i get asked why i quilt, i laugh because i never wanted to. i think i'll wrap up my introductory post here, and leave you with some ways to connect with me on social media!